Hurry! Offer ends December 31, 2018. 5,000 bonus RBC Rewards points will be posted to your RBC Rewards account after the first purchase has been processed on your credit card account. 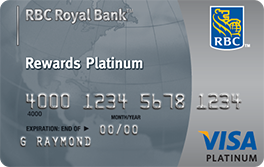 Your RBC Rewards account will earn an additional 5,000 RBC Rewards points when at least one RBC Rewards cardholder on the account registers and creates a profile at www.RBCrewardscaribbean.com, provided the cardholder is a new RBC Rewards member or an existing member without a profile at time of registration. Your RBC Rewards account will earn an additional 5,000 RBC Rewards points when at least one registered RBC Rewards cardholder on the account opts to receive e-marketing offers. Finally, your RBC Rewards account will earn an additional 5,000 RBC Rewards points when you spend at least $ 7,000 USD within the first 4 months after your card is approved. Please allow 2-3 business days for bonus RBC Rewards points to be posted to your RBC Rewards account. We reserve the right to withdraw this offer at any time. This offer may not be combined or used in conjunction with any other offer. A maximum of 20,000 bonus RBC Rewards points will be awarded per account. RBC Rewards points are earned on net purchases only; they are not earned on cash advances (including RBC Royal Bank Credit Card cheques, balance transfers, cash-like transactions and bill payments), interest charges or fees. Credits for returns and adjustments will reduce or cancel the points earned by the amounts originally charged.